Can We Really Work Remotely and Be Productive? Have you ever worked remotely for two weeks? Did you experience a sense of isolation? Yes, me too. So when a colleague said to me, “I have a virtual team and a team that works in a variety of locations, what do I do to make sure that they are getting their work done?” I had some advice to share. I also checked in with some of my colleagues who routinely work remotely and here’s a distillation of best practices. –Culture. If trust is the foundation, culture is the glue that creates creates the sense-making for “how we do things around here.” Culture is a derivative of values and values arise from behaviors. One thing is certain as a manager or member of a virtual team, developing the behaviors, such as “camera-on” creates the culture you need to achieve your goals. Establish what behaviors are needed and convert those into sense-making by giving them a name. Then, promote this to all team members. –Competence. Unlike face-to-face teams, competence is closely linked to trust. One way trust is evidenced in a virtual team is by predictable performance repeated over time. Making clear the expectations and prompt feedback not only builds competence, it builds trust. -Team identity. Having a sense of a shared vision, purpose, goals and behaviors establishes a sense of camaraderie and belonging. One way to establish identity is to ensure people know what everyone is working on and how it fits into the goals of the work unit. In other words, identify the interdependence, not the dependence of the person’s work. –Celebrating team performance and identity. Closely linked to identity is celebrating performance of each member and integrating that performance into the work unit’s progress or success. Recognizing performance (competence) makes the person feel like a valuable contributor to the team, and when the performance is tied to the work unit’s goals, it integrates them into something larger than themselves. –Preventing isolation and detachment. While it’s a real treat to pad around home all day in your slippers (possibly your pajama’s too), one can start to feel detached. Our ability to create, innovate and problem solve increases in the company of others. On a virtual and dispersed team, this becomes more important. An effective method shared by a colleague of mine involved ensuring each member of the team had an “office-buddy” and that they would talk by phone every day or two. Another friend of mine said she makes time to celebrate birthdays and special occasions with all of her staff by video chat as a team. Creating the space just for social time is important to connecting effectively. Dispersed and virtual teams will only increase in number. Whether you are the supervisor of a team or working remotely, recognize that working remotely is a great benefit AND it can also boost productivity. However, it takes intentional effort to make it work to its fullest potential. 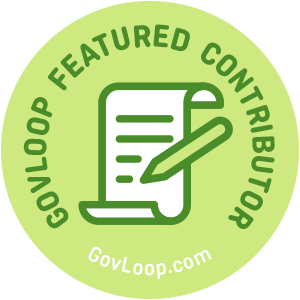 Andrew Rahaman is part of the GovLoop Featured Contributor program, where we feature articles by government voices from all across the country (and world!). To see more Featured Contributor posts, click here. I have managed a virtual team for 2 years now and had great success. I have had a lot of resistance from “old school” managers who think people will not be very productive. My team’s production actually increased. You have to start with good employees and be honest with each other. If people can’t be productive then you find those that can. It is the future so people need to adjust. All of these things are so important. I worked remotely for a month or two and i was absolutely miserable . I got the work done, but I had minimal interaction with my team members. humans need to interact with others to thrive! A little recognition and communication would’ve made a world of difference. Thanks for this post!